How Much Does a Custom E-Commerce Website Cost? You already have the sense that a custom e-commerce site platform is likely the right choice for your situation — now let's talk price. Usually, it's true that "you get what you pay for" when it comes to e-commerce site development. The good news is that there are custom software development partners to fit every need and budget. However, it's not always clear which partners are the best fit for your situation. Rather than approaching e-commerce website development companies out of the blue and asking them to read your mind, you need to do your research diligently. (Reading this article is a great first step.) Think about what you really need and what's most important to your business, and then estimate how the cost will be affected by these factors. Below, we'll discuss some the most important qualities that influence the cost of a custom e-commerce website. We'll also cover why you should be paying attention to not only the website's cost, but also your return on investment. Without having a sit-down meeting with a developer, there's no easy way to figure out how much your own custom e-commerce website will cost. The priciest web development projects can go well over six figures. An extremely unique site that's built for a luxury or well-known brand as part of a huge advertising blitz, and that includes copywriting and marketing, can even go over seven. On the other hand, the starting costs for e-commerce websites generally hover around $10,000 and can go even lower if you want a truly bare-bones solution. This may be the case if you prefer to be independent from solutions such as Shopify and WooCommerce, but you don't need much in the way of functionality. Whichever end of the scale you fall on, you're curious and want to know more about the cost. Although you can't get an exact price tag at this stage, there are certain indicators that the final cost of a given project will be higher. The majority of the most important factors for an e-commerce website's cost can be expressed in terms of back-end complexity. The front end is the pretty part that you see in your browser, but your website's back end does all the heavy lifting behind the scenes. Integrate your e-commerce site with software and systems that perform other essential functions, such as order management and invoicing. Generate custom reports about your website's most important metrics and key performance indicators (KPIs). Change the price of an item based on factors such as the customer, the volume and the time of year. Accommodate special shipping requests, such as using a particular carrier or refrigerating perishable goods. Include complicated business logic about special events such as sales, promotions and coupons. Besides the back-end complexity, there are a few other factors that could have a meaningful impact on an e-commerce site's final cost. For example, if your website sees a great deal of traffic, then you'll have to pay more for hosting than a website that only serves a niche audience. As a result, you'll probably also have higher support and maintenance costs down the line. As visual creatures, humans are drawn to well-designed websites, and a world-class website design can be both costly and worthwhile. If you don't already have high-quality images and copy for your products, or you're doing a site redesign from the ground up, then you'll have to include the costs of creating these as well. Extras such as search engine optimization (SEO) and video marketing are also going to cost more but may be worth it depending on your business strategy. There's one last factor determining the cost that your end users aren't going to see: time. For best results, you should begin planning for this project well in advance. However, if you're on a tight deadline — as part of a new product launch, for example — then you may have no choice but to get started late. Many development partners will add a rush fee to their price in order to compensate for the overtime they have to dedicate to your website. When evaluating the cost of your custom e-commerce website, there's another figure you should consider: the return on investment (ROI). Although your hope is that the website will pay for itself, some sites will undoubtedly pay for themselves faster than others. Determining the ROI of a given project isn't always easy, however. Although custom software is an upfront capital expense, the benefits of your investment usually accrue over time, and many of them can't always be expressed numerically. Happier customers: Custom software is tailor-made to your specific business needs so that you can service your customers better. By creating the right custom e-commerce website, your business will be able to ship products faster. Happier employees: By incorporating automation, custom software projects can reduce or eliminate employees' menial tasks. A custom e-commerce site that reduces the number of steps your employees have to take on the back-end accomplishes this in spades. Reduced errors: Data entry and other manual tasks have a shockingly high error rate. Financial modeling company F1F9 has estimated that 88 percent of non-trivial spreadsheets contain errors. 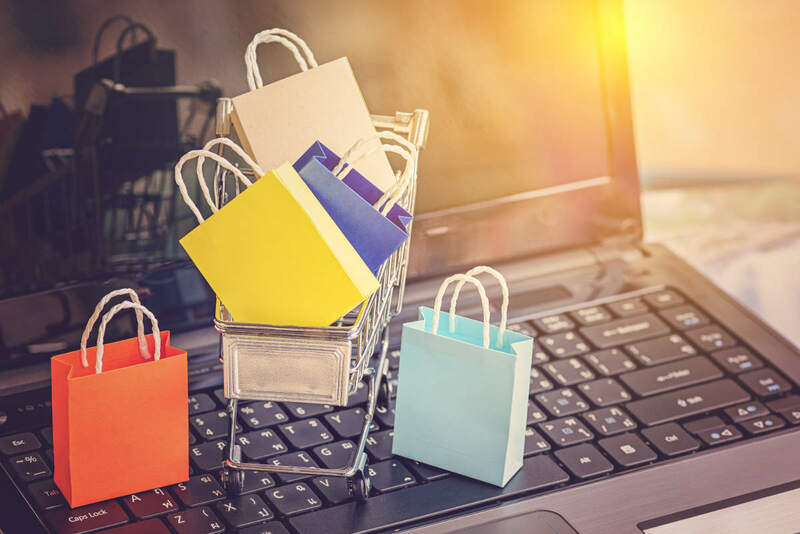 Custom e-commerce development can automate and standardize your purchase, sales and shipping processes, making it easier to catch errors and reducing the need for manual oversight. Improved compliance: Organizations in highly regulated sectors such as finance and health care must take pains to ensure that they comply with all industry laws. You can build custom software exactly to your specifications to ensure you meet these regulations, giving you perhaps the greatest intangible of all: peace of mind. Nevertheless, there are a few numbers you can crunch that will give you a better idea of the ROI. Adding automation and integration to your website can save you a great deal of time, money and effort. Before even reaching out to potential development partners, you should have one to three primary goals in mind for your e-commerce site. Do you want to improve your cross-selling rates, make customers happier or reduce the amount of website downtime? Once you've settled on your most important targets for the project, figure out what metrics and KPIs you'll use to calculate them. Start tracking these metrics now, well before you finish with development, so that you have a baseline for comparison once the new website goes live. Even if it's just an estimate, try to put a dollar amount to the savings that you'll realize by implementing a custom e-commerce solution. If employees currently spend 20 hours a week creating invoices for your online orders, then you'll be able to save these 20 hours by integrating your website with a platform such as QuickBooks that can generate invoices automatically. By turning this time savings into a dollar estimate, you'll have a better sense of how long the project will take to pay for itself. On that note, there's one more factor to consider when it comes to cost and ROI: the length of time the solution will be with you. Many businesses start off by purchasing a pre-built solution such as Shopify or WooCommerce, only to find later on that it's not a good fit for their needs. As a result, they'll have to spend time and effort migrating to another solution — which some companies don't want to do, permanently locking them into a poor choice. Custom e-commerce sites, on the other hand, can evolve and adapt to your business as you grow, which makes them more viable as a long-term option. You have access to the source code, letting you and your development partners make changes as necessary, exactly when it's necessary. In addition, you can pay for precisely the features that you want, rather than using a pre-built solution that has too much or too little to offer. You might want a basic e-commerce platform to supplement sales at your brick-and-mortar stores or a beautiful, feature-rich website that will become the centerpiece of your business. Whatever the case may be, you first need to know what your business requirements are in order to have a sense of how much it will cost you. The more features you require and the more customizations you request, the higher the cost will generally be. Purchasing a custom-built e-commerce site means that you'll need to distinguish between essential functionality and things that are only "nice to have." Even when handing off the website development work to a partner, you'll still need to do a good deal of strategic thinking. Understand that if you want a full-fledged system with many features and integrations, the costs will rise accordingly. To make your custom e-commerce development project a successful and worthwhile one, you have to strike the right balance in terms of the features you want and the benefits that you'll receive from them.